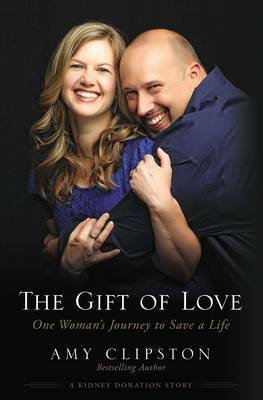 In The Gift of Love, bestselling fiction author Amy Clipston shares her story of almost losing the love of her life to kidney disease and the ultimate sacrifice that kept their family together. An ordinary woman who cherishes family above all else, Amy was challenged in every way-from her strength of character to the depths of her faith to the close-knit family that surrounds her. Enduring the good, the bad, and the really bad, she was determined to help her husband once again be the husband and father their family needed.